Milling is the process of cutting away material by feeding a workpiece past a rotating multiple tooth cutter. The cutting action of the many teeth around the milling cutter provides a fast method of machining. 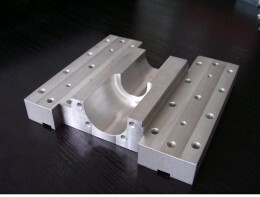 The machined surface may be flat,angular, or curved. The surface may also be milled to any combination of shapes.